Unripe and dried fruits. In the countries of origin, the fresh leaves are also much used for cooking or smoking meat ("West Indian bay-leaf"). Some books, though, state that West Indian bay-leaves stem from the closely related P. racemosa. The Mediterranean bay leaves are an inappropriate substitute. 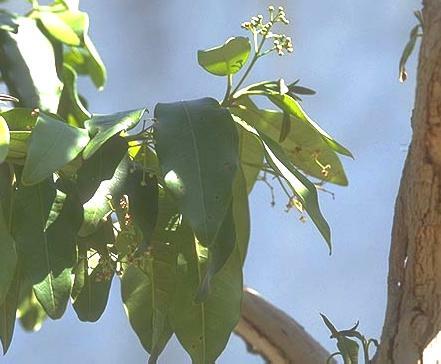 The essential oil from the leaves (West Indian Bay Oil) is of importance in the industrial production of sausages. Strongly aromatic, like cloves with a hint of cinnamon and nutmeg; the taste is similar, but with some peppery heat. The fruits contain 2 to 5% essential oil (the exact content depends much on the time of harvest). Main component is eugenol (65 to 85%), but also eugenol methyl ether, 1,8-cineol and alpha-phellandrene are reported. 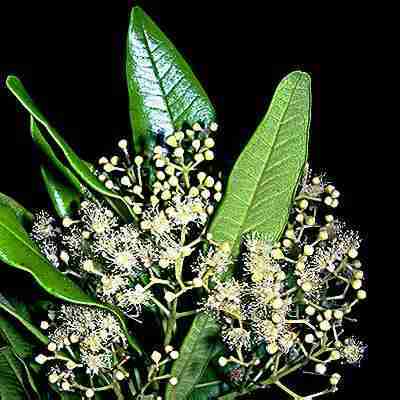 The leaves contain less essential oil, but the content is high enough to make destillation profitable. In composition, it is similar to the essential oil from the fruits. Jamaica, which is also the main exporter. Several other Central American states (e.g, México, Honduras) produce this spice, but their quality is considered inferior. The fruits of P. racemosa, a closely related species, are sometimes used to adulterate allspice. Allspice became known in Europe long after its was first discovered by an expedition of Columbus; because of the shape (similar to pepper corns), the new grains were termed "pepper" (whether by mistake or to gain more publicity I do not know). Still, they are called "pepper" in many languages, mostly with an attribute indicating their Caribbean origin (Russian Yamaiskiy pjerets "Jamaica pepper") or aromatic scent (French poivre aromatique "aromatic pepper", German Nelkenpfeffer "clove pepper" or Swedish kryddpeppar "condiment pepper"). Newspice (or German Neugewürz), too, refers to their origin from the New World, and allspice (French toute-épice) reflects the complex aroma of this spice. The genus name Pimenta comes from Spanish pimienta for black pepper; it has a confusing history. In late Latin, the word pigmentum "dye" took a new, additional meaning, "spice, condiment". The Iberic languages, then, formed their word for "pepper" not from Latin piper "pepper", but from said pigmentum: Spanish pimienta, Portuguese pimenta (in Spanish, however, pebre "pepper" has been conserved regionally). Since allspice was initially also termed pimienta by the Spaniards, who alone imported the spice to 16.th century Europe, the name was, together with the spice, introduced into many European languages. The genus name dioica (Greek di- from dýo "two", oîkos "house") indicates that there male and female flowers grow an different plants; botanists call such plants dioicious. In Caribbean cuisine, allspice with its pleasing clove-like aroma is the most important spice and used extensively. Meat is often stuffed with allspice leaves and barbecued over a fire of allspice wood, similar to the use of myrtle around the Mediterranean Sea. Jamaica is known for its fiery jerk pastes, which are commonly used to marinate pork or chicken before barbecuing. Jerk is made mostly of sonion and local chile cultivars of unmatched heat and pungency. The paste derives is characteristic taste from allspice berries, furthermore allspice or cinnamon leaves, garlic, fresh thyme, black pepper and vinegar or lime juice; the recipe is variable and may include further seasonings like orange juice, coriander leaves, ginger, nutmeg and cinnamon. Authenticity is increased by adding dry allspice branches to the firewood. Allspice is also grown in México, albeit in lesser quality. It is used there for the famous mole sauces (see paprika). In Europe, England consumes most of it. The British like it for stews and sauces and for flavouring pickled vegetables (together with white mustard seeds). Allspice is also quite popular in the US, where cooks use if for quite similar purposes. On the European continent, allspice is less appreciated; it is, however, contained in commercial spice mixtures for sausages and much loved by Scandinavians for fine meat pastries, as are used in the Danish speciality smørrebrød (white bread topped with a selection of sausages, pastries, fish, cheese and vegetables). Other spices popular in Scandinavia are dill and cardamom seeds. Allspice berries sometimes show up in the somewhat antiquated French spice mixture quatre épices (see nutmeg). It is interesting to note that allspice has not been accepted by Asian cooks, although its occurrence in curry powder is sometimes claimed (see curry leaves). The pungent-aromatic quality of allspice is, however, much in line with Arabic cooking style; it is rather surprising that allspice is not called for in Arabic mutton dishes. I guess this is not a matter of taste but of availability, since allspice is nowhere grown in Asia. The only cuisine of the Old World using allspice lies in East Africa: The Ethiopian spice mixture berebere (see long pepper) indeed contains allspice, which is grown on the island Réunion not far away.